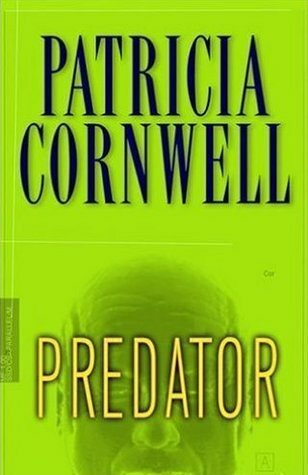 "Predator" by Patricia Cornwell is a maze of mystery and intrigue that will keep you biting your nails right up to the last page. And even then, I wanted more. I wanted to see the real perpetrator - the one truly responsible - brought to justice, but maybe that has been reserved for another story. Cornwell leads us into the world of Dr. Kay Scarpetta and her team - Pete Marino, Benton Wesley, and her niece, Lucy. This collection of specialists operate a higly sophisticated forensic academy, and some of what they do is analyse the brains of killers in order to see if they can figure out what makes them tick. In "Predator" one particular man, Basil Jenrette, is telling some pretty amazing stories - stories that begin to have a familiar ring to them and lead to some old, unsolved disappearances. These in turn, become connected to current disappearances, and crimes, which at first glance might be considered to be suicides. But are they? The finger gets pointed at several individuals, keeping the reader guessing. I am not one to give away too much in my book reviews - I figured it out, and would love to hear if you did, as well. If you are someone who can handle an intriguing psychological thriller, then curl up with "Predator." But, make sure you keep the lights on, your curtains drawn, and your doors locked. Sign into Goodreads to see if any of your friends have read Predator.